Even more than the drummer of the band, bassists really get a bad rap. Or, more to the point, no rap at all. Routinely at the back of the stage with their microphone turned down, they might get the odd co-writing credit at a push. There are exceptions but this is very much the rule. Fortunately, it’s a rule artists like Lawrence Preston are happy to break. Having rejected playing the trombone (good move, we reckon), he moved onto bass guitar, not just taking to its charms but studying the styles of the best, one of whom spotted his talent and inspired him yet further. The chap in question was Freddie Stone, founder of Sly & the Family Stone; and it was through his contacts that his career began to gain traction, spending much of the 1980s working in Dorothy Morrison’s band. Having honed his skills, he has taken the step to release under his own name. 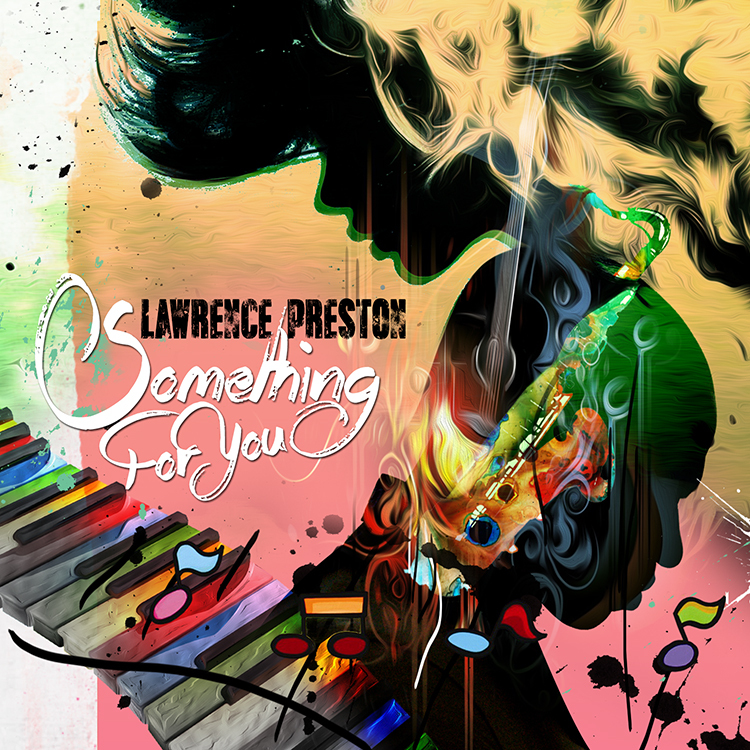 Not before time, this is sumptuous lazy summer soul-jazz punctuated by his bass playing which has all the hallmarks of such greats as Marcus Miller and Stanley Clarke. His emergence may have taken some time but it’s been worth the wait. Premiered on Complex Magazine , emerging soul/RnB sensation Dan Caplen has unveiled an entrancing rendition of the classic 2004 song “Blinded by the Lights” by The Streets. Replacing the pounding baseline of the original with gravelly blues tones, the Brixton-based musician taps into the melancholy of the original to deliver a heart-breaking track. Stepping into the spotlight as an instant UK ‘One To Watch’, Dan Caplen was musically trained in Portland, Oregon, where he developed an undeniable technical ability as well as a penchant for sampling classic and charismatic sounds. The young Londoner – of Caribbean descent – feels as instantly accessible as he does sophisticated. He’s already been featured on early tastemakers Pigeons & Planes and Noisey, as well as garnering support slots with the likes of Honne and Anne-Marie – Caplen is building a name for himself in the influencers/early-adopter section. Dan Caplen reminds us that his authenticity, talent and rawness are real weapons to establishing himself as one of 2017’s hottest tips. Track Of The Week: Yungen – Cuffing Season. Up-and-coming UK singer, Challan Carmichael, delivers this new feel good single ‘Step by Step’ out June 3rd. Sporting a fantastic hook and a bubbly electropop beat, the track has all the ingredients of a catchy pop song, made all the more engaging by its positive and life-affirming lyrics. Challan Carmichael is Fresh, Original and Inspiring. A devout Christian, Challan invited 10 local children from his church to sing on the track’s chorus. Ideals of humanity and philanthropy play a major part in his lyrics, themes that are applicable not just to his own faith but to people from all walks of life. Challan takes influence from artists such as Michael Jackson, Stevie Wonder, Whitney Houston and Billy Ocean. 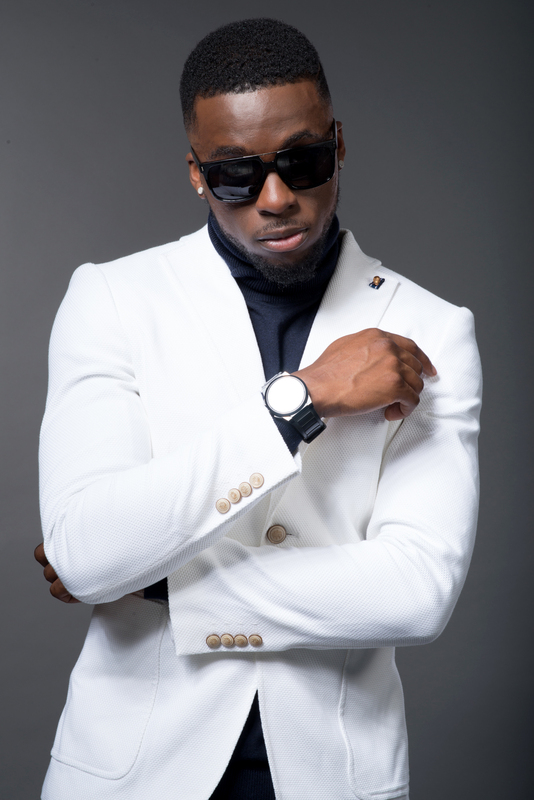 As well as singing, he has long had a keen interest in dance, self-teaching himself as a child from watching Michael Jackson videos and streetdance. In 1988, he was lucky enough to get front row tickets to King of Pop’s BAD concert, a surprise gift from his au-pair. Unafraid to challenge himself, Challan joined the Territorial army in his twenties, having a desire to push himself both physically and mentally. Around the same time he also got involved with artist tour management. Having worked behind the scenes in the music industry for many years supporting artists such as KC Da Rookee and Ben from Phats and Smalls, Challan is now ready to carve a music career of his own. The artist has worked with multiple producers including notable names such as Blaze Billions, Paul Nza, Lars Mellow and Klimper Boy. He is currently performing at schools across the UK as part of his Step by Step UK nationwide Schools Tour. The Nottingham Post has described him as ‘Nottingham’s next MC Hammer’. An album has been recorded in Germany and will be out soon. The EP, set for release this summer, will feature his already huge track ‘Anthem’, and the powerful new ‘Tomorrow’ which will be released on March 9th. 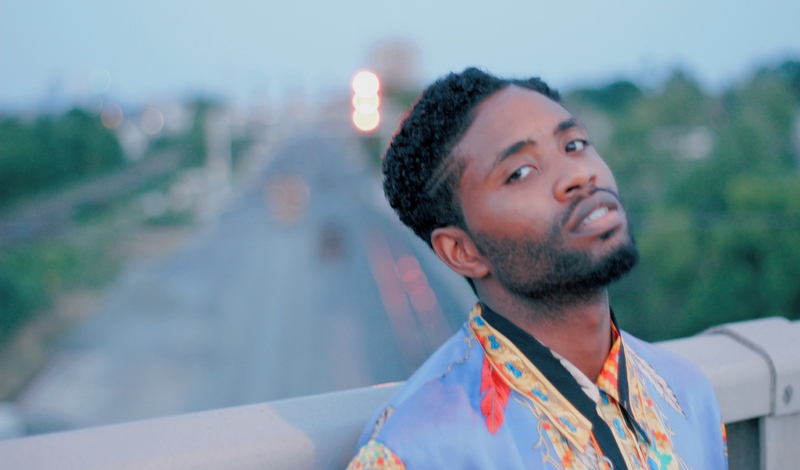 With a sound resembling that of Lana Del Ray, Cash’s unique tracks ooze passion and innovation. The single ‘Anthem’, which was released earlier this year, has already had great success. Inspired by his initial struggle with his music career, Adreyn wrote the song to remind himself of his unconditional love for the industry. The EP is titled ‘Rich Girls Don’t Marry Poor Boys’, taking inspiration from ‘The Great Gatsby’, and reflecting that sometimes in life we must put others before ourselves. Adreyn’s EP is about art, creating something that is transcendent, innovative and truly artistic. Crediting artists including Bruno Mars, Miguel, Prince and Frank Ocean as his inspiration, the EP features a mixture of songs, some which are socially and politically influenced, and some that are about fun and love. It is Cash’s own representation of his world; “I want my music to bring light and knowledge to my generation…painting a picture with my voice and my words”, says Adreyn. Having studied Commercial Music at Canterbury Christ Church University, Adreyn has applied his knowledge and artistic creativity to produce well written songs with strong vocal performances. With big plans for the future, it is safe to say this extremely talented artist is certainly one to watch. With an impressive range of live shows under his belt, Adreyn’s attention has now turned to the release of ‘Rich Girls don’t Marry Poor Boys’ his first full length EP, set for release during August. The EP is an abundance of catchy rhythms and array of soul. The distinctive alternative/soul sounds delivered through his music are what make Adreyn Cash such an exciting talent. The futures bright! Hailing from North London, CallMeTheKidd artist, (AKA Peter Elegbede) is certainly causing quite a stir on the UK urban scene. His latest song ‘Jungle’, from his debut EP ‘2ND2N: The Movie’. 7 out of 10 tracks he produced himself, and all of the songs on the EP were all written by him also. He has already opened up for other well-known artists such as Ghetts and Chipmunk, as well as MOBO award winner Stormzy & nominee Lil Slmz. The video for hot track ‘Jungle’ see’s the dapper, CallMethekidd literally take it to the jungle with his beautiful date. Charming his way through his cool performance, CallMethekidd looks perfectly at home in front of the camera. After seeing the rising star in action, we doubt many girls will be turning down a date with him! After almost following a career in professional basketball in America, Peter found his true calling in the form of writing and producing grime music. CallMeTheKidd says ‘’I started off with grime music but I now write & produce all sorts of music – Rap, Pop, RnB etc’’, of which he has been an avid fan of since the young age of 12. The track ‘Jungle’ has insanely tight production, and the beat and lyrics are especially catchy. The track depicts what goes through a man’s head when first meeting a woman – the aspect of love vs. lust is incorporated as he battles a conflict of desires in his head. After unfortunately losing a close family member to a 7-year battle with cancer very recently, Peter has vowed to donate the proceeds from this single towards Macmillan Cancer Support. Peter recently self-pressed over 500 copies of his EP on CD, and gave them away, with the purpose of just getting his music out there and heard. With his heart more in the music as opposed to the money, CallMeTheKidd’s attitude is a brilliant example to aspiring musicians all over the UK. ‘Jungle’ from ‘2ND2N: The Movie’ is due for release on 8th December. If you haven’t already heard her name, then meet Scarlet Baxter – the fierce female solo artist with a killer voice, whose name is on everyone’s lips. 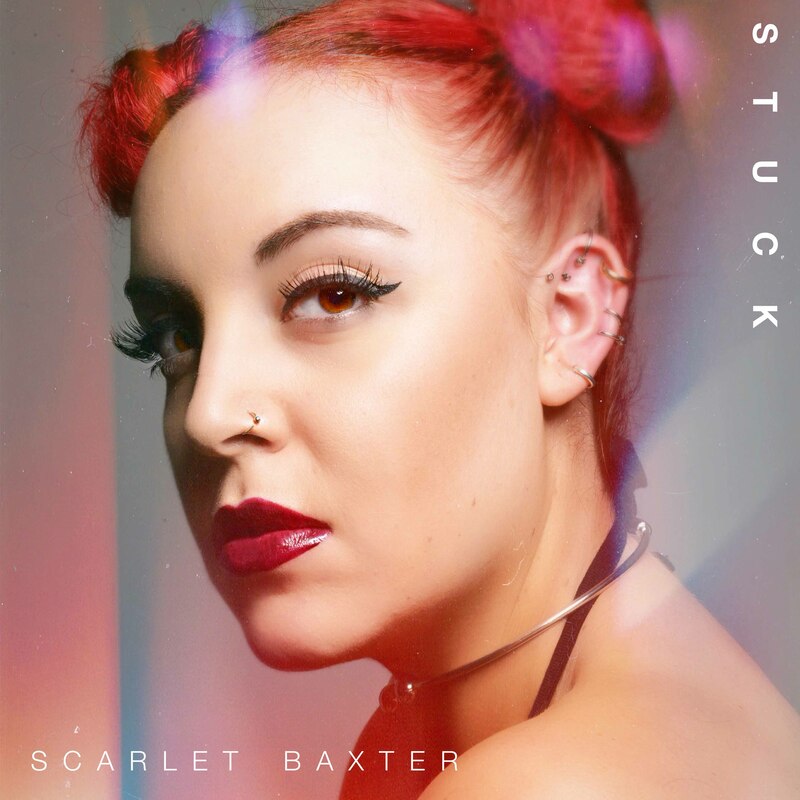 After the imminent success of her previous single ‘Backsliding’, which currently has over 45,000 YouTube views, Scarlet is hot on the heels to release her eagerly anticipated second single; ‘Stuck’. Consisting of a smooth, soothing ballad that allows her to convey dynamic emotions, ‘Stuck’ also allows Scarlet to show off her powerful vocal diversity. She’s already attracted the attention of some of the top people in the music industry, like the Super Stylers who remixed her previous single, and has made a big name for herself on both her local London scene, and national media. Welcome to Head in the Soundclouds! This blog is here to bring interest to the latest and greatest in Sound cloud Content. Whether it is submitted directly to our blogroll or scouted out by us, you will get a regular update sound cloud sweetness.